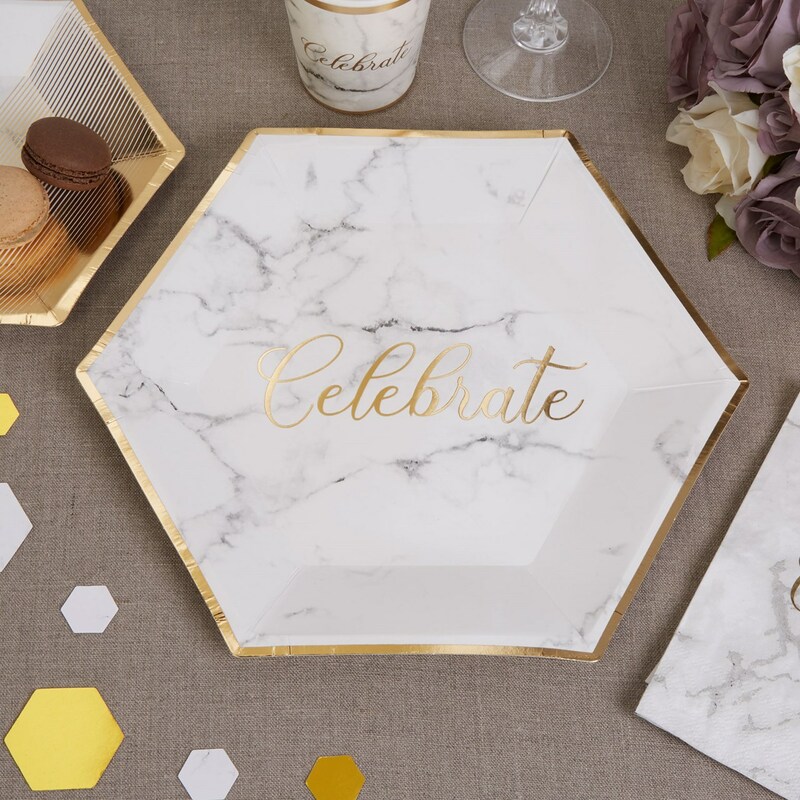 Gorgeous serving plates from our elegant Scripted Marble collection, featuring a smart hexagonal design, this large size plate can be used for canapés, cakes, crisps and other party treats. Featuring gold ""Celebrate"" text, this generous platter can be used alone or combined with the medium and small serving plates in the collection, as well as other tableware and accessories. Each pack contains 8 Large Paper Plates, size: 270mm.